He celebrated Mass on Jan. 6 for the participants in the biennial conference sponsored by the Denver-based Fellowship of Catholic University Students (FOCUS). The group, founded in 1998, seeks to nurture the Catholic faith in college students. It currently has nearly 700 missionaries serving on 153 college campuses in 42 states and five international locations. 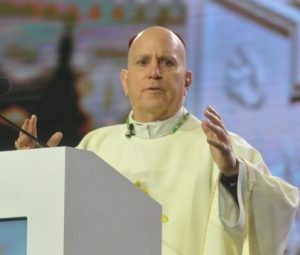 In his homily, Archbishop Aquila said he was briefly “playing hooky” from the retreat taking place for bishops in the U.S. at Mundelein Seminary at the University of St. Mary of the Lake near Chicago to celebrate the Mass in the Indiana Convention Center in Indianapolis. This year’s SEEK gathering, Jan. 3-7, is the sixth such conference that Archbishop Aquila has attended. Turning to Christ and entering into a relationship with him, Archbishop Aquila said, can draw people out of this darkness. He implored the conference participants to take the light of Christ they have received and share it with others. She said the conference gave her “an incredible hope,” despite the challenges facing the church now. 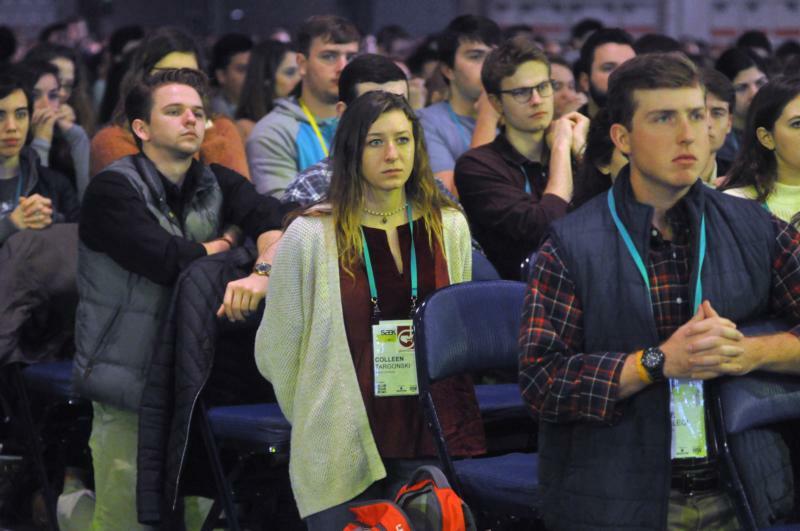 “It’s amazing to see thousands and thousands of college students celebrating the Mass, all making this journey to Indianapolis, but also to heaven,” she said. She also said she looked forward to embracing the mission that Archbishop Aquila presented to conference attendees.